I recently place my first order with Illamasqua ever and did the online version instead of Sephora for a cream pigment shade that they do not carry that shade. This post will cover the Gleam in Aurora retails for £18.00 / $24US /$26CAN and the Cream Pigment in Emerge that retails for £17.00 /$30CAN. Shimmery warm champagne/beige glow. This product is dewy. 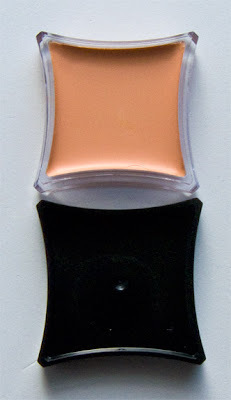 The colour is fine shimmer suspended in a clear base making it a universal highlighter. It honestly was still there after 8 hours before faded is noticeable. Also because its a cream product I found that any long wear product on your skin, not that it makes it degrade the product but you long wear foundation will be a bit more emollient/moavle to the touch if you don't set it first. My Annabelle Smoothliner eyeliner in Licorice didn't budget with Aurora over it but if I brush it with a tissue the area that was cover in Aurora smudged. 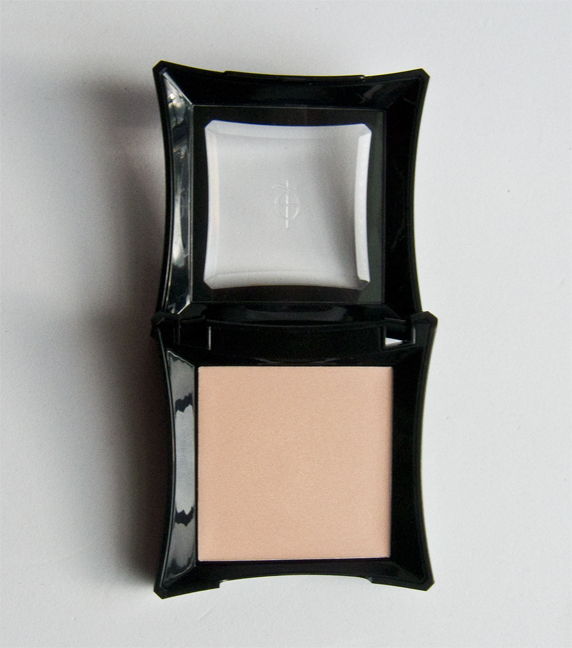 Guerlain Parure de Nuit pressed powder is the only comparable product I have the has the same fine milled dewy glow. 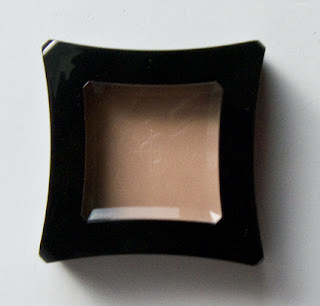 But I still see a touch of white case from Parure de Nuit on deep skin tone while this shade is truly universally flattering on every skin tone. It's fine ones it set with powder it does not migrate one the eyes because of the waxy base without a primer. I word it for 12 hours so far with this result. Packaging: The cap is friction fitted on the pot. Make Up For Every Flash colours are similar (I've used two of them in the past). I found the Illamasqua cream pigment formula is denser / more waxed based than the flash making it slight more sheer in comparison. I feel like Gleam in Aurora would make a great staple in a Makeup artist kit. Rarely do you get a highlighter that truly works on every skin tone and the finish is subtle enough for every ones tastes. 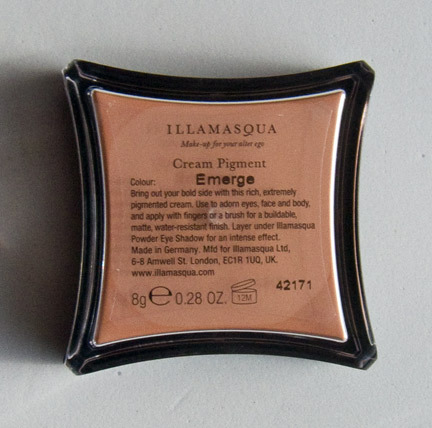 Cream Pigment in Emerge is a really cool shade if you loved peach/gold/pink ton shadows the formula is nice as well for a colour intensifier. 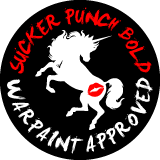 I'd say check a shade out you think you would get the most use out of first as not everyone will need this. I love the Illamasqua products and I am really tempted to get the aurora highlighter in a bundle with zygomatic ... But I'll resist. Pure discipline. I guess it might get quiet shiny in my already easily shiny face and I'll stick with Nars Albatross or the Jemma Kid Iced Gold as Highlighters (great by the way - both). 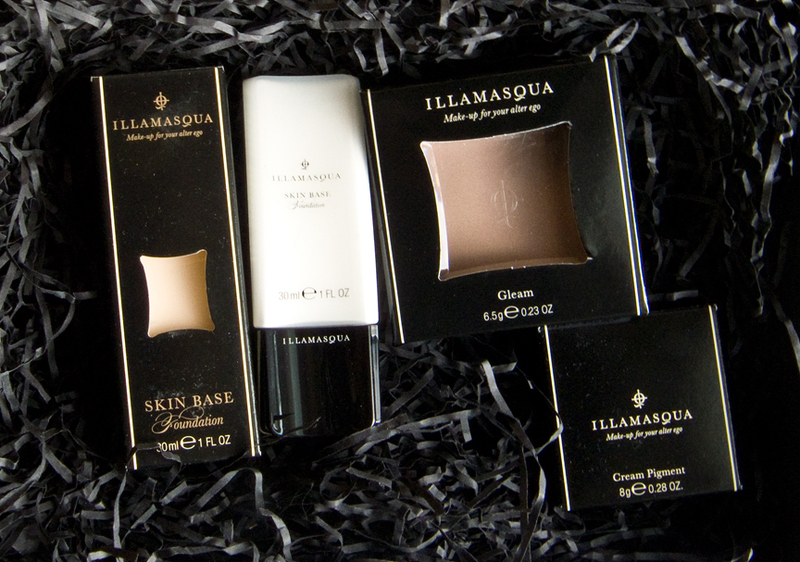 Unfortunately we don't have Illamasqua here - but they ship to Germany, too. 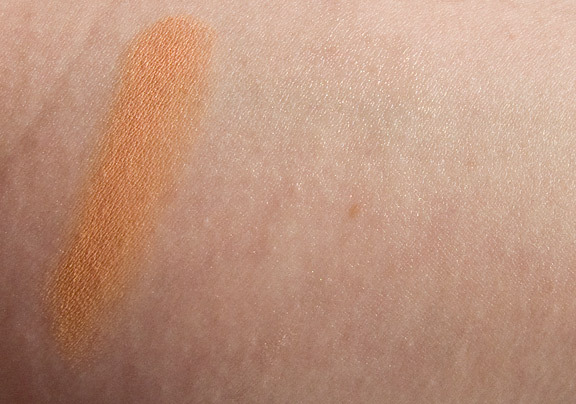 The Pigment in Emerge is too warm for me. But I own "Hollow" which is - beside the NYX Taupe or the new MAC Pro Sculpting Cream great for contouring. Your photos are well done. You should have more readers... how come? I'd really like to see other articles - and I'll subscribe gladly. :-) Hope to read more soon. Have a nice week and please forgive my English! I read much more English than I get the opportunity to write. I'm planning to get Hallow as it's a much more cool tone contour cream. 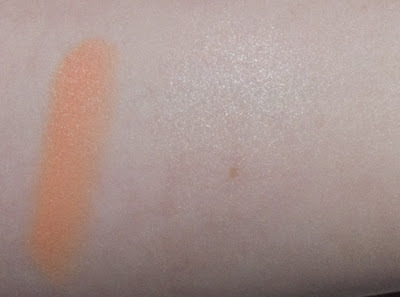 I actually have a review on Nars Albatross as the shade is gorgeous white gold but tthe shimmer i larger then this one and lighter in tone. I'm new to blogging and it's a matter of hits google hit rating whether may articles get any outside traffic. I love it when people post comment. Not a problem on the english depart for you there ;) I'm not one to complain as my spelling is atrocious (language is not my strong suit). Glad to hear! - Give yourself and your blog some time. I've been writing mine (German - so don't mind, you don't have to take a look) for about a year and sometimes it got quite disappointing. - It takes so much time and effort to write an article. And most readers - who don't write themselves - just don't know. Or those who have been writing for a long time don't remember how hard everything is when you have to learn everything (photography, CSS, HTML, layout issues, ...).